More than 100 of Australia’s leading plant conservation experts are meeting in Canberra this week for a national conference on plant translocation. Plant translocation is the movement of plants from one place to another and is a very important tool in the fight against plant extinctions. Over 1,300 species of Australian plants are listed as Critically Endangered, Endangered or Vulnerable, with 37 now declared extinct. “Plant translocation is the plant equivalent of captive animal breeding and release programs that are increasingly carried out by zoos and animal sanctuaries” said Dr Lucy Commander, from the Australian Network for Plant Conservation (ANPC). The 3rdedition of the ANPC’s Guidelines for the Translocation of Threatened Plantsin Australia will be launched by theThreatened Species Commissioner Dr Sally Box on Sunday at the 12thAustralasian Plant Conservation Conference.It will be the definitive publication that will inform plant translocation projects across Australia. “There has been a large increase in the number of translocations across Australia in recent years. As a consequence, we have more information now on how to improve translocations” said Dr Commander. “The Guidelines will keep Australia at the cutting edge of plant conservation, and will benefit many of our threatened plants. Case studies cover topics such as translocation of orchids and the Wollemi pine. “Translocations are undertaken for many reasons. For example, some threatened orchids could be relocated if they were in the path of a new pipeline development. Or if a threatened species is now only found at one site, using translocation to establish other populations can reduce the risk of a single catastrophic event, like a fire, eliminating the entire species. 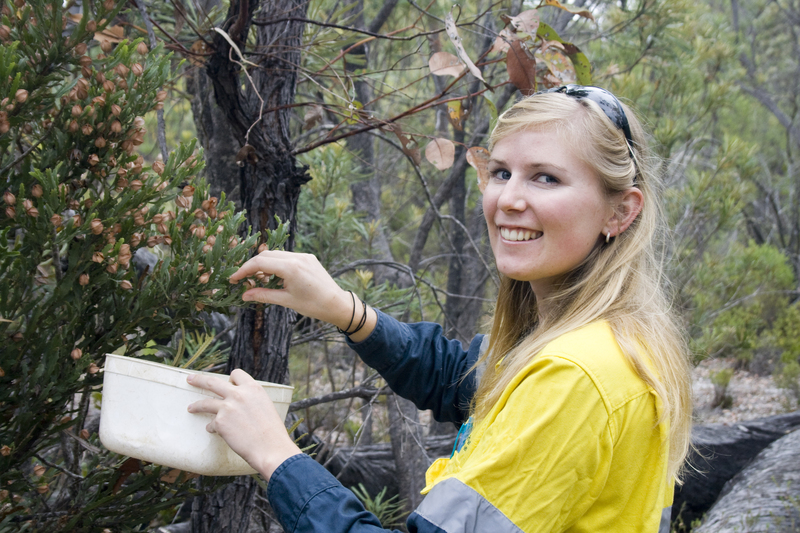 Production of the Guidelines was supported by the Threatened Species Recovery Hub of the Australian Government’s National Environmental Science Program and 30 leading plant translocation experts from across the country. “The ANPC’s mission is to promote and develop plant conservation in Australia and providing critical information such as these guidelines sits at the core of our activities” said ANPC President Dr Linda Broadhurst. The Conference is being held at the CSIRO Discovery Centre in Canberra from 11-15 November. It is being jointly hosted by the Australian Network for Plant Conservation and the Centre for Australian National Biodiversity Research, in collaboration with the Threatened Species Recovery Hub. Photos and video are available in dropbox. Only for use with this story. Photographers must be credited. Delicate Pomaderris (Pomaderris delicata) is a shrub that only grows at two sites between Goulburn and Bungonia and south of Windellama (Cullula) on the NSW Southern Tablelands, in a nature reserve and on a roadside. Plants have been translocated to these two populations, and a new population was established at Nadgigomar Nature Reserve in an attempt to reduce the extinction risk. Translocated plantings at both sites are surviving, flowering and producing seed, despite occasional deaths. The best survival and growth has occurred when new plants were placed within the existing population at the roadside site. No recruitment has been observed yet. The translocation into Nadgigomar Nature Reserve failed rapidly. 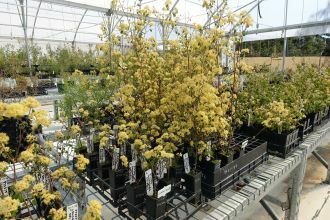 All plants had died two months after planting, despite favourable conditions for plant growth. Survival seems to be better within existing sites in sheltered situations but has also been very good on an exposed road batter made up of subsoil. 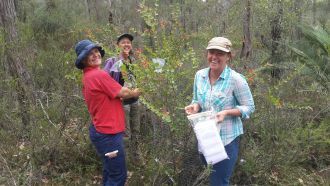 Leonie Monks, Rebecca Dillon and Sarah Barrett collecting seeds from a roundleaf honeysuckle translocation. This Endangered tree is only found in three locations in south-west Western Australia. 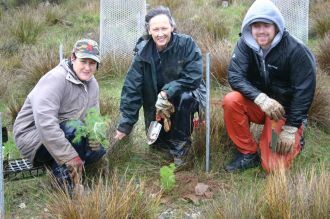 Planting of Endangered Maxwell’s grevillea in the Albany district, a native tree whose natural range falls only in an area adjacent to the Stirling Range National Park near Albany in south-west Western Australia. 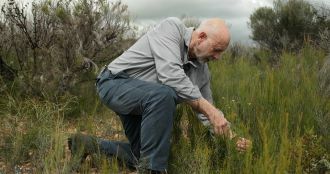 Dr David Coates inspecting reintroduced plants in Western Australia. 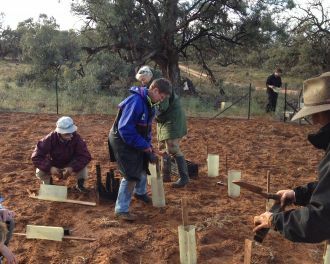 Planting Critically Endangered spiny daisies, a native flower currently found only in a handful of locations north of Adelaide in South Australia. Pomaderris delicata, grown from cuttings at the Australian National Botanic Gardens. This Critically Endangered tree is found only in an area of habitat north-east of Canberra/south-west of Nowra in New South Wales.